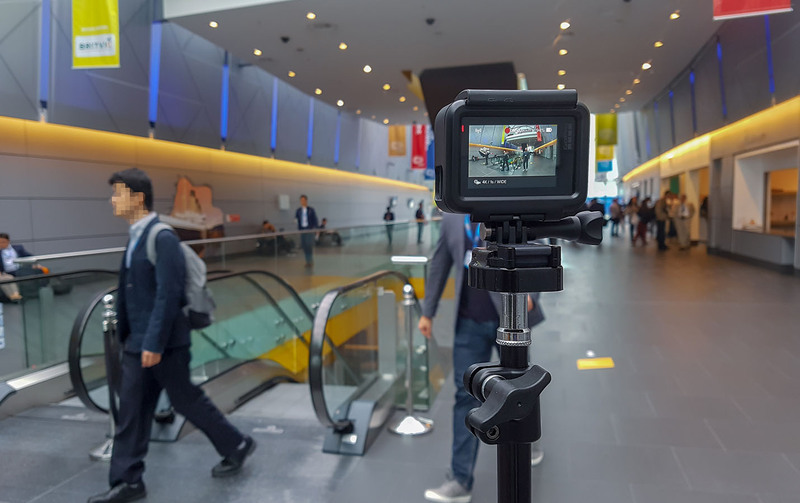 In the world of video production, many people think that if your video production company’s camera is bigger, that automatically makes it better. However, that’s simply not the case. To quote the fabulous Michael Caine – “it’s not the size; it’s how you use it”! I own and use a range of cameras which vary in size from tiny Go-Pros to larger DSLRs and high-end HD cameras. 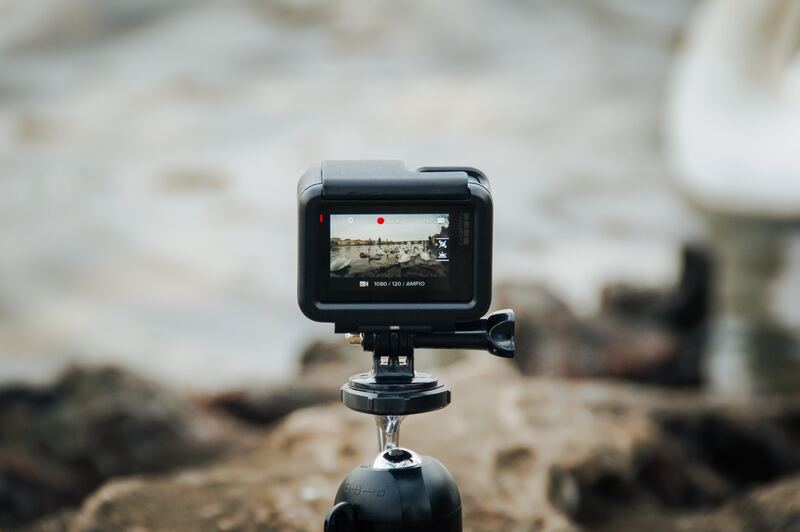 Each type of camera is used in very specific ways to ensure we always capture top quality footage in the best way for each individual situation that is filmed. My ‘big camera’ (yes, that’s the technical term!) for all the main filming services that we provide. It has dual card slots for increased recording time and can take power directly from the mains so there is no fear of batteries cutting out mid-way through a recording. Our main camera for video production is the Canon C100. 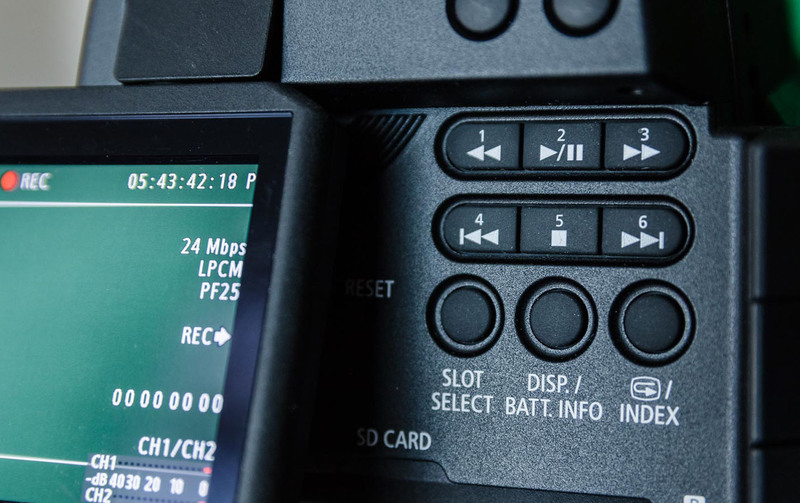 It is suited to our style of videos because of its versatility in terms of lenses, audio inputs and connections. 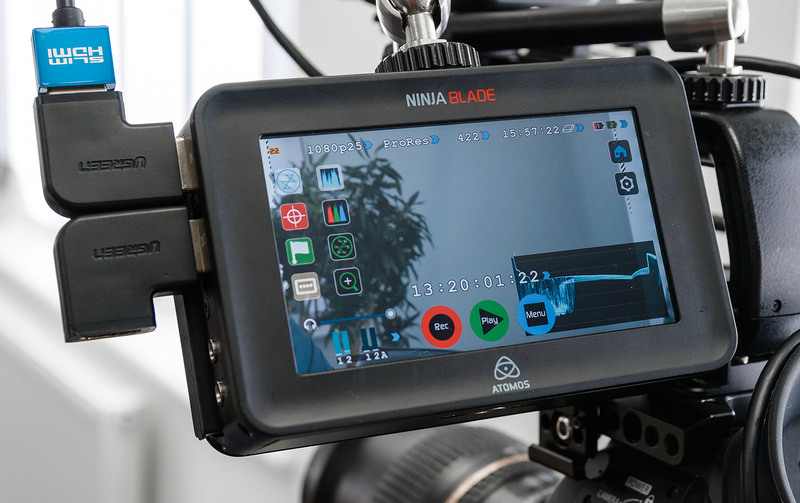 It is our workhorse and is with us for every single shoot, with its excellent image quality, beautiful colours and robust ergonomics make it perfect for a whole range of video productions. Next, we have our stills camera: the Canon 7D Mark II. This 20 megapixel DSLR is with me on all shoots. 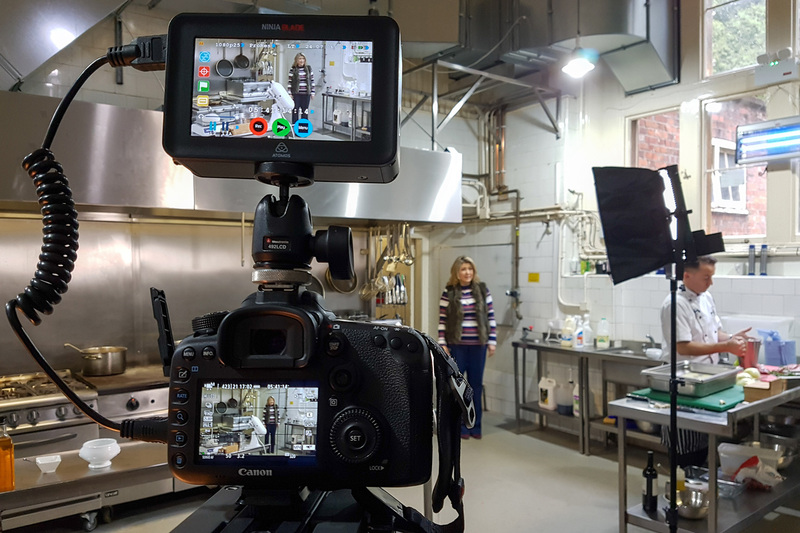 I use it to take stills for creating custom thumbnails for your video and for general behind-the-scenes images of the shoot or location itself – which a client can then use to tweet after filming. This camera also serves as a second camera during sit down interviews as the video footage can be matched very easily to our main camera. 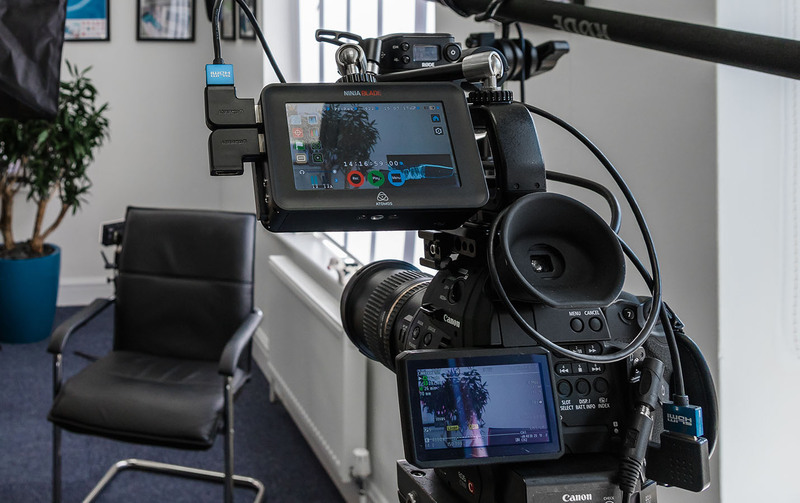 This means we can capture different angles or focus on different people in an interview setting which leads to a more interesting, engaging video. When time-lapses are required, we use sturdy, reliable Go-Pro cameras. These are smaller than a mobile phone and can be securely mounted to capture long periods of time. The 4K video timelapse feature means that getting a timelapse is quick and easy and adds a whole new level of production value to a video. 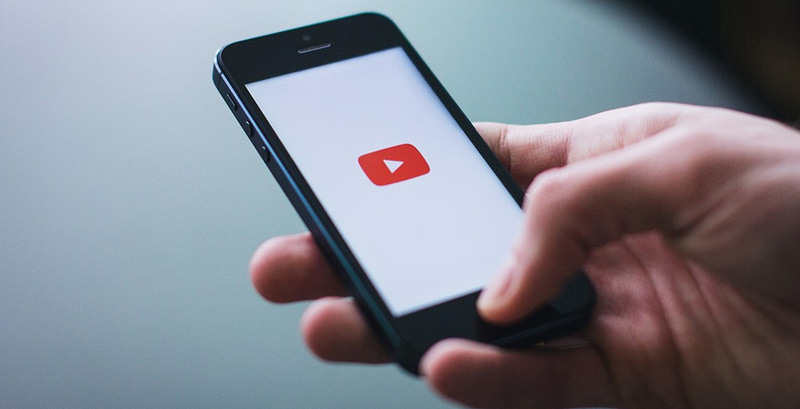 My cameras are best suited to creating content for online use, because that is where 99% of content exists, whether this is on YouTube, Facebook, Twitter etc. However, there are times when I’m asked to provide footage for broadcast environments (i.e. TV quality) or to external agencies. This isn’t a problem because I bring along hard-drive recorders. These take a broadcast quality image straight out of the camera, ready for editing by broadcast companies. They also serve as fantastic monitors for our camera crew and for you – the client – so that you can see what’s going on moment-by-moment during the shoot. 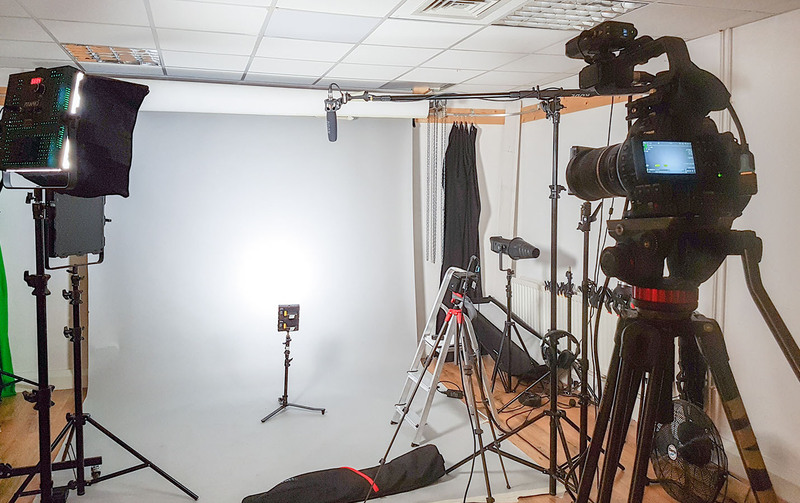 For more information about our camera equipment, or to request a full kit-list, please get in touch.